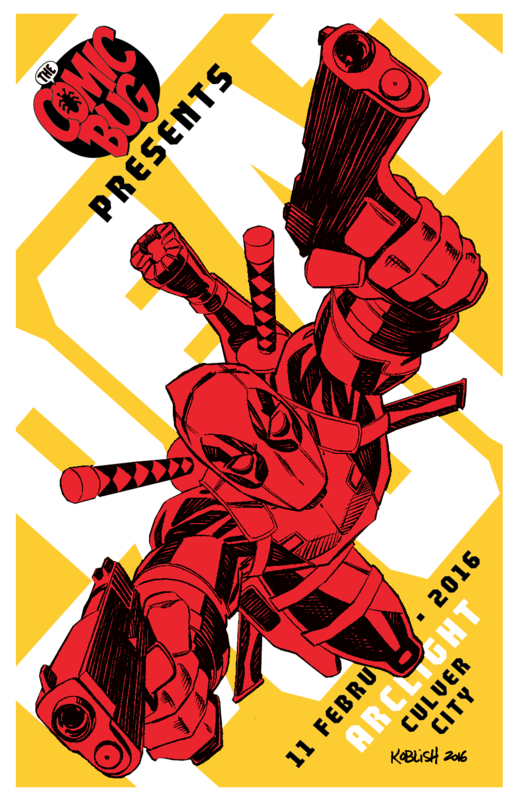 The Comic Bug's Deadpool Movie Screening! It's our first screening of the year and our first ever at the Culver City Arclight Cinema, join us and check out the zany adventures of everybody's favorite Merc with a Mouth, DEADPOOL! 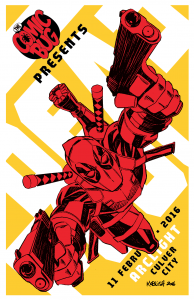 Deadpool artist SCOTT KOBLISH is rocking out a very special art print that you'll receive the night of the screening and an awesome secret limited nifty exclusive item! Tickets are almost sold out!